The items included in this Customisation Pack are also available as a part of Customisation Pack Bundle 2. Please be careful not to purchase the same contents twice. 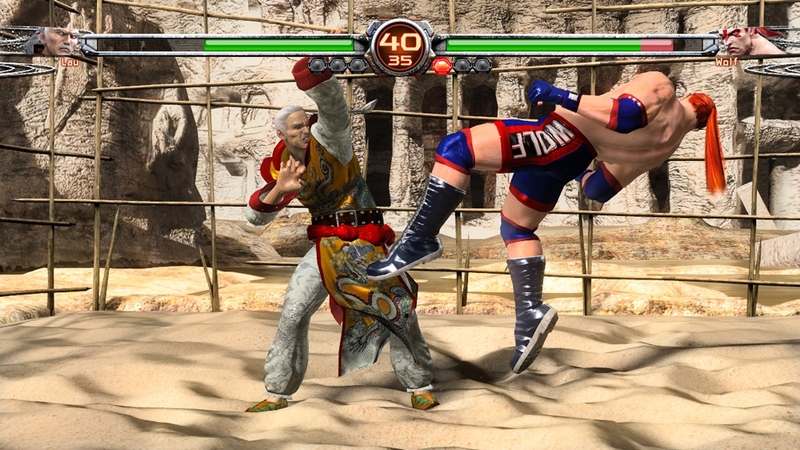 This pack contains customisation items for Jeffry, for use in VIRTUA FIGHTER 5 FINAL SHOWDOWN. Once downloaded, the items can be accessed via TERMINAL menu. The items included in this Customisation Pack are also available as a part of Customisation Pack Bundle 1. Please be careful not to purchase the same contents twice. 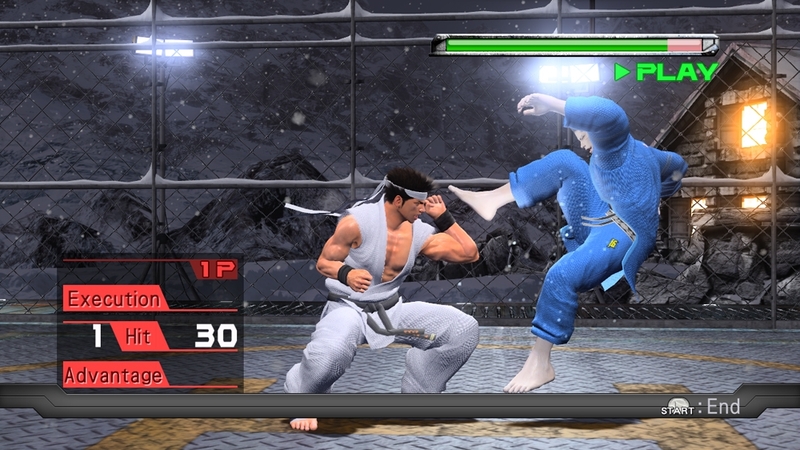 This pack contains customisation items for Lion, for use in VIRTUA FIGHTER 5 FINAL SHOWDOWN. Once downloaded, the items can be accessed via TERMINAL menu. The items included in this Customisation Pack are also available as a part of Customisation Pack Bundle 2. Please be careful not to purchase the same contents twice. 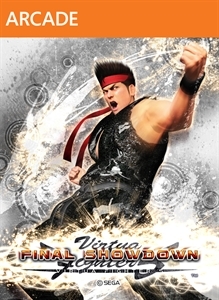 This pack contains customisation items for Shun, for use in VIRTUA FIGHTER 5 FINAL SHOWDOWN. Once downloaded, the items can be accessed via TERMINAL menu. The items included in this Customisation Pack are also available as a part of Customisation Pack Bundle 1. Please be careful not to purchase the same contents twice. This pack contains customisation items for Sarah, for use in VIRTUA FIGHTER 5 FINAL SHOWDOWN. Once downloaded, the items can be accessed via TERMINAL menu. The items included in this Customisation Pack are also available as a part of Customisation Pack Bundle 2. Please be careful not to purchase the same contents twice. 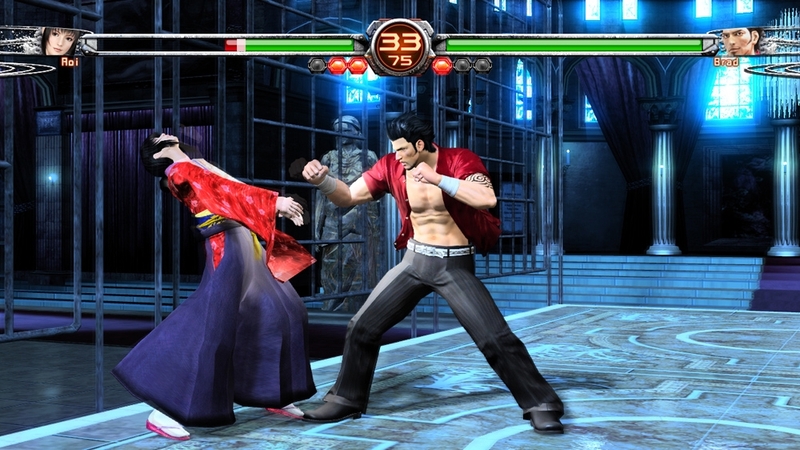 This pack contains customisation items for Taka-Arashi, for use in VIRTUA FIGHTER 5 FINAL SHOWDOWN. Once downloaded, the items can be accessed via TERMINAL menu. The items in this Customisation Pack Bundle are also available as individual character Customisation Pack. Please be careful not to purchase the same contents twice. This bundle includes items for 9 characters; Akira, Sarah, Kage, Wolf, Lion, Aoi, Brad, El Blaze and Jean! Once downloaded, the items can be accessed via the TERMINAL menu. The items included in this Customisation Pack are also available as a part of Customisation Pack Bundle 2. Please be careful not to purchase the same contents twice. 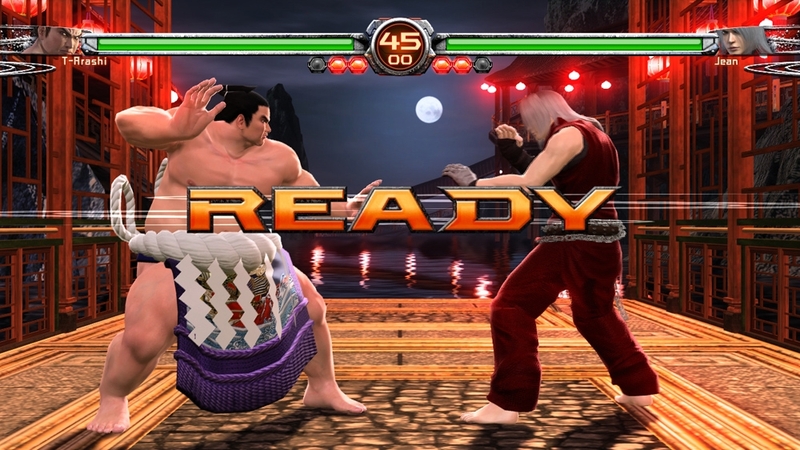 This pack contains customisation items for Goh, for use in VIRTUA FIGHTER 5 FINAL SHOWDOWN. Once downloaded, the items can be accessed via TERMINAL menu. The items included in this Customisation Pack are also available as a part of Customisation Pack Bundle 1. Please be careful not to purchase the same contents twice. This pack contains customisation items for El Blaze, for use in VIRTUA FIGHTER 5 FINAL SHOWDOWN. Once downloaded, the items can be accessed via TERMINAL menu. Meet all the characters of Virtua Fighter 5 Final Showdown. Watch the trailer now! The items included in this Customisation Pack are also available as a part of Customisation Pack Bundle 1. Please be careful not to purchase the same contents twice. 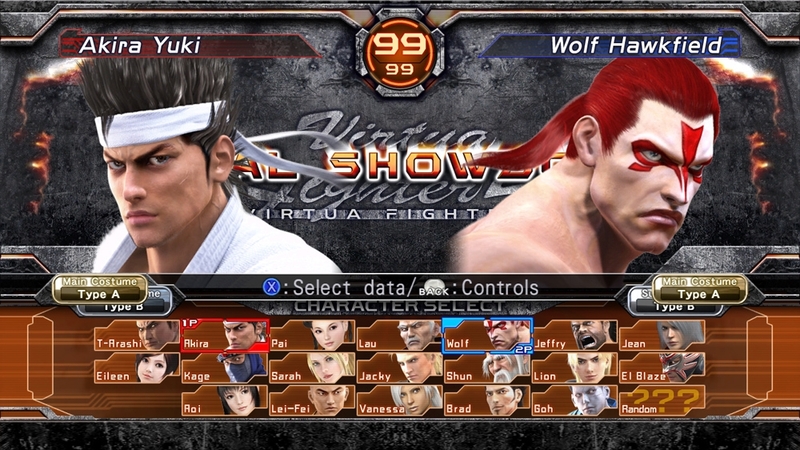 This pack contains customisation items for Wolf, for use in VIRTUA FIGHTER 5 FINAL SHOWDOWN. Once downloaded, the items can be accessed via TERMINAL menu. The items in this Customisation Pack Bundle are also available as individual character Customisation Pack. Please be careful not to purchase the same contents twice. This bundle includes customisation items for 10 characters; Pai, Lau, Jacky, Jeffry, Shun, Lei-Fei, Vanessa, Goh, Eileen and T-Arashi! Once downloaded, the items can be accessed via the TERMINAL menu. The items included in this Customisation Pack are also available as a part of Customisation Pack Bundle 1. Please be careful not to purchase the same contents twice. 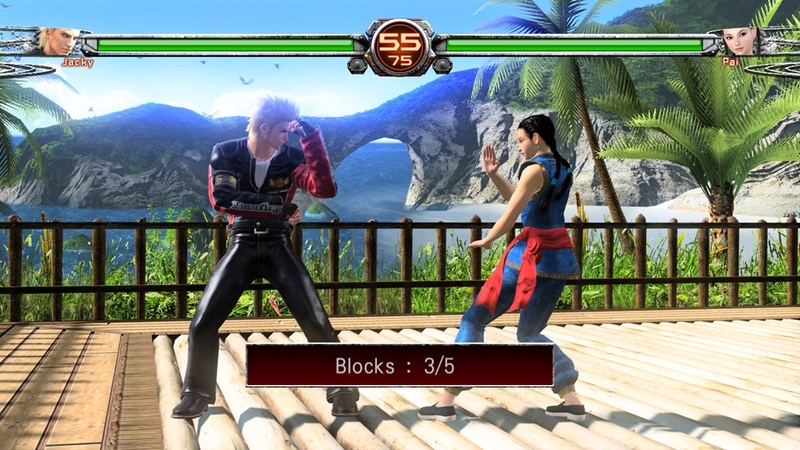 This pack contains customisation items for Jean, for use in VIRTUA FIGHTER 5 FINAL SHOWDOWN. Once downloaded, the items can be accessed via TERMINAL menu. The items included in this Customisation Pack are also available as a part of Customisation Pack Bundle 2. Please be careful not to purchase the same contents twice. This pack contains customisation items for Lau Chan, for use in VIRTUA FIGHTER 5 FINAL SHOWDOWN. Once downloaded, the items can be accessed via TERMINAL menu. The items included in this Customisation Pack are also available as a part of Customisation Pack Bundle 2. Please be careful not to purchase the same contents twice. 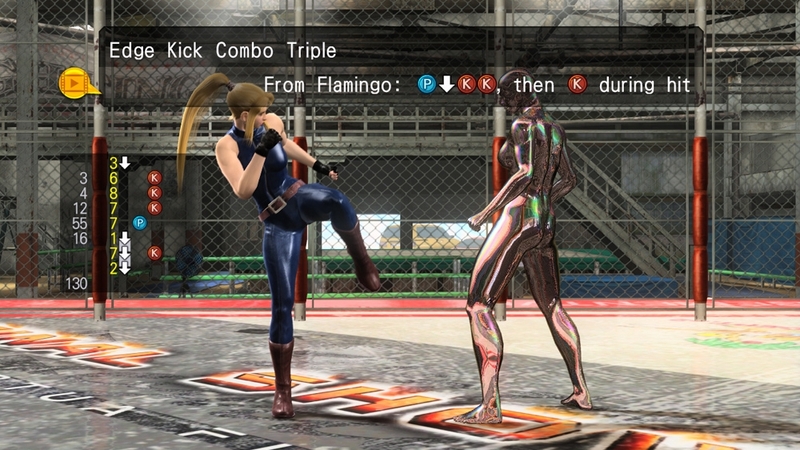 This pack contains customisation items for Eileen, for use in VIRTUA FIGHTER 5 FINAL SHOWDOWN. Once downloaded, the items can be accessed via TERMINAL menu. The items included in this Customisation Pack are also available as a part of Customisation Pack Bundle 1. Please be careful not to purchase the same contents twice. 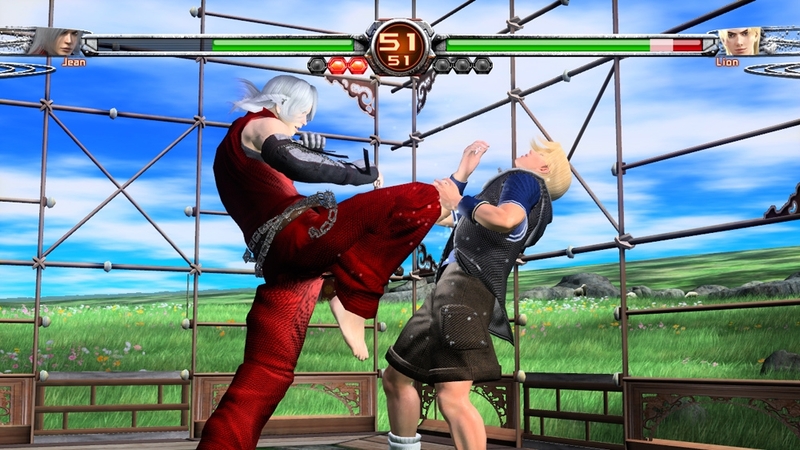 This pack contains customisation items for Aoi, for use in VIRTUA FIGHTER 5 FINAL SHOWDOWN. Once downloaded, the items can be accessed via TERMINAL menu. The items included in this Customisation Pack are also available as a part of Customisation Pack Bundle 2. Please be careful not to purchase the same contents twice. 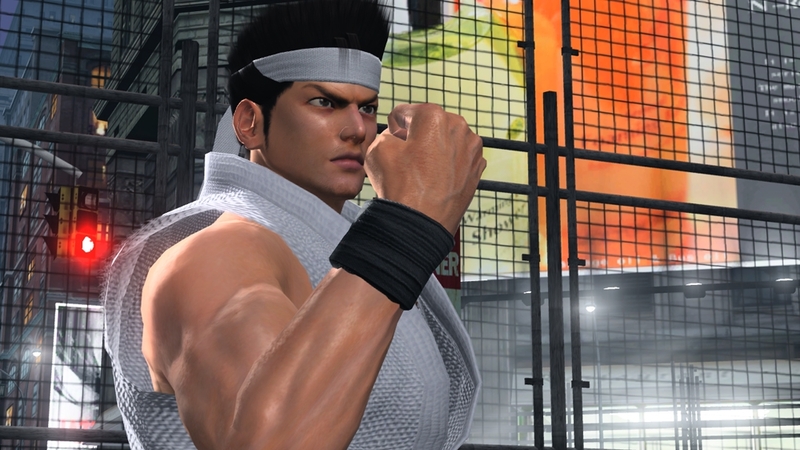 This pack contains customisation items for Jacky, for use in VIRTUA FIGHTER 5 FINAL SHOWDOWN. Once downloaded, the items can be accessed via TERMINAL menu. The items included in this Customisation Pack are also available as a part of Customisation Pack Bundle 2. Please be careful not to purchase the same contents twice. This pack contains customisation items for Lei-Fei, for use in VIRTUA FIGHTER 5 FINAL SHOWDOWN. Once downloaded, the items can be accessed via TERMINAL menu. The items included in this Customisation Pack are also available as a part of Customisation Pack Bundle 1. Please be careful not to purchase the same contents twice. This pack contains customisation items for Brad, for use in VIRTUA FIGHTER 5 FINAL SHOWDOWN. Once downloaded, the items can be accessed via TERMINAL menu.